Super Junior has fans super excited with the announcement of a special mini album. What makes it special is the fact that member Ryeowook, who recently finished his military service, will be featured in this mini album. This will mark his first album involvement since his hiatus to serve in the military. So, this is some exciting news. What gets fans more hype is the image teasers that goes with it. So, check it out below! So, they have begun with the group teaser, giving fans a feel for the kind of concept they are going for. Once again, they have gone with a concept that best shows off their charms as a group. They are so mature and has gone for a glamoured up look. It goes well with each member and the colour coding in this image works so nicely with one another. Meanwhile, in their unit group teaser, they continue to look gorgeous, capturing everyone’s attention. Fans are looking forward to what they will showcase this time around. 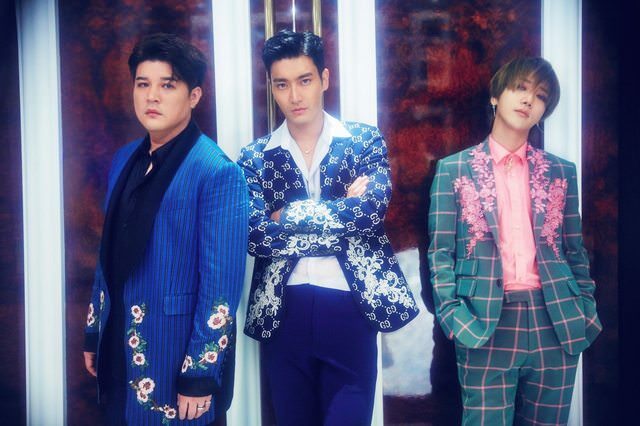 Super Junior is set to make their hot return with ‘One More Time‘ on October 10th. Are you ready? Let us know in the comments below!